I’m very pleased to be taking part in the METM conference again this year. 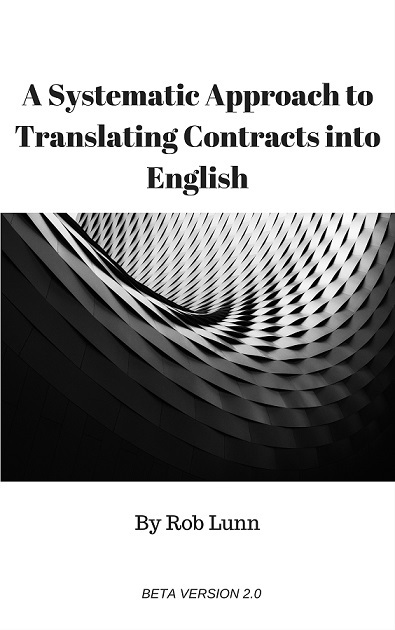 This time I’ll be doing a pre-conference workshop on translating contracts. It’s basically just a more complete version of this talk I did last year — a little bit more on the underlying principles (the theory, I suppose) and more tips inspired by and adapted from modern contract drafting guidelines. There will also be more opportunity for attendee input and questions, so I’m sure I’ll learn a lot, too. Anyway, my aim is to make it as practical as possible. Hopefully we will all come away with some new ideas we can apply when translating contracts into English. And for those who’ve never been to a MET conference, check out the preliminary programme. As you can see, there are already some excellent talks on offer. Hope to see you in Tarragona!